Indianapolis Family Dentistry is excited to announce the launch of our new blog, where you’ll learn more about our team of dental staff and invaluable information regarding your oral health. 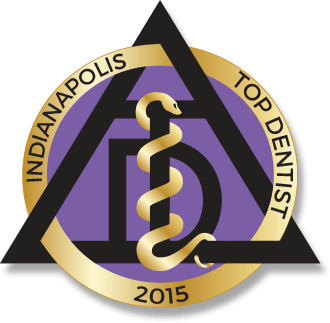 As a well-respected Indianapolis dentist, we are fully committed to providing the best dental services in a compassionate and gentle manner. We strive to deliver the personalized and caring approach to dental care you need to feel right at home when visiting our office. We strive to provide the utmost care as a dentist in Indianapolis, which is why we deliver the most complete dental services you need to maintain a healthy, beautiful smile. As a family dentist, we cater to each member of your family to provide the individualized approach needed to promote oral health. We offer preventative services to resolve risk factors before they become a problem. Should issues develop, we offer the restorative and cosmetic services you need to repair your teeth for a beautiful smile. We even offer emergency dentistry because we understand accidents happen. 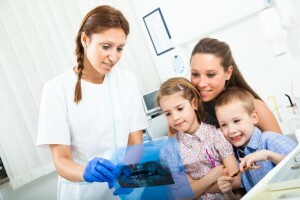 As a complete family dentist in Indianapolis, we cater to even the youngest of family members with children’s dentistry. In addition, for those in the family who may have missing teeth, we offer dentures and dental implants to improve quality of life while gaining a more confident smile. To ensure you’re receiving the best care possible, we use the best advancements in dentistry and patient comfort with digital x-rays, Intraoral Cameras, chairside monitors, and more. We even offer sedation services to work with those who have dental anxieties. We understand that the quality of care you receive is only as great as the hands performing the services, which is why our team of dentists hold the highest level of experience, knowledge and credentials. Dr. Mark H. Farthing has been restoring confidence with beautiful smiles since 1982. As a graduate of the Indiana University School of Dentistry and affiliated with the Implant Study Group, he has the extensive knowledge and capabilities needed to care for your family. Dr. Farthing partners with Dr. Armin M. Tepner to offer complete care in Indianapolis. Since 1984, Dr. Tepner has worked with patients to care for their dental needs upon graduating the Indiana University School of Density. Dr. Tepner joined the Indianapolis Family Dentistry team in 1997, where he has been working with Dr. Farthing to provide the utmost level of care to their patients. Supported by a passion for helping others maintain their oral health while making patients feel at ease, our team of dental staff becomes more than just your dentist. We become your friends and neighbors as we get to know you through a personalized experience based on understanding and trust. We work hard to ensure you’re comfortable and relaxed during each and every visit when working with our caring and qualified team. When you choose Indianapolis Family Dentistry, you and your family will be in good hands. When looking for an Indianapolis dentist for your family, choose the dentist who cares. Contact us today to schedule an appointment.